Jeff Bezos hasn't got much patience with the neverending cycle of tech patent lawsuits, reckoning that governments need to step in and change laws. 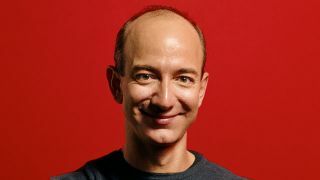 The Amazon CEO, who faces a bit more hardware heat now that Amazon has launched the Android-running Kindle Fire HD tablet, lamented the situation in an interview with the Metro newspaper. "Patents are supposed to encourage innovation and we're starting to be in a world where they might start to stifle innovation," he said. "Governments may need to look at the patent system and see if those laws need to be modified because I don't think some of these battles are healthy for society. "I love technology, I love invention, I like rapid change, and really it's the golden age of wireless devices and mobile devices." Bezos isn't the only one tiring of the patent hoopla - the UN held a summit earlier this month during which Apple, Google, Microsoft, Samsung and other tech giants got together to try and find a solution. Technology in 2012 has been pockmarked by patent filings and verdicts, the most notable of which is Apple v Samsung in which a US court found in favour of the Cupertino company. It's not over 'til it's over, though – Samsung is currently appealing the $1 billion ruling so the case is set to rumble on into 2013.